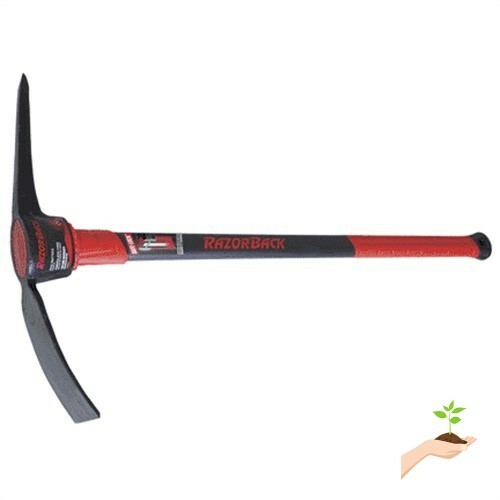 detailedDescription":"Ideal for digging and chopping roots and breaking up hard soils and clay. The strong 34\" fiberglass handle won't splinter and will last for years to come and features a solid fiberglass core for maximum strength. 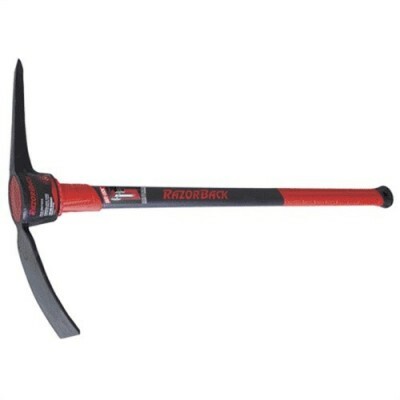 The head to handle connection has a reinforced steel pin for improved safety and is a great choice for outdoor professionals. No 5 forged steel head. Dimensions: 34.26\"H x 18.25\"W x 3.5\"D.